In about a week we go back to my second beloved home away from home, Disneyland Paris (my first beloved home away from home is obviously Walt Disney World). 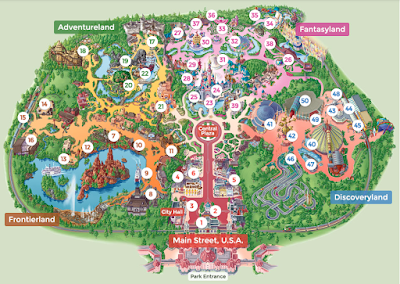 This is reason enough for me to make a post about my favourite parts of each park and their lands/lots. Main Street USA doesn't hold any real attractions (let's not count the train station, horse-drawn streetcars and vintage vehicles as actual attractions), so this part includes one of my favourite spots: the railway bridge (it's basically the train station, but seen from the park entrance side). It may sound like a stupid spot, but I love walking under the train station and seeing the castle pop up the moment you enter Town Square. That's usually also the place I start tearing up (if I haven't already on the way to the park). This one's easy: Buzz Lightyear Lazer Blast. It's my favourite ride in Discoveryland, and mostly one of the first things we do when we're in the parks. If DLP's Star Tours were a bit more like the one in Hollywood Studios, it would be harder to choose between these two rides. I've read that Star Tours is getting refurbished, so I'm hoping they'll make it like the one in Hollywood Studios AND that the whole story will be narrated in English. It's a little harder to pick a favourite ride or spot in Fantasyland, as we usually don't spend so much time here. Which is kinda hard to believe as it's a wonderful place and everything looks like you're in a fairytale. I guess we mostly just do the rides we haven't been on in a while, or the ones that don't have a big queue. 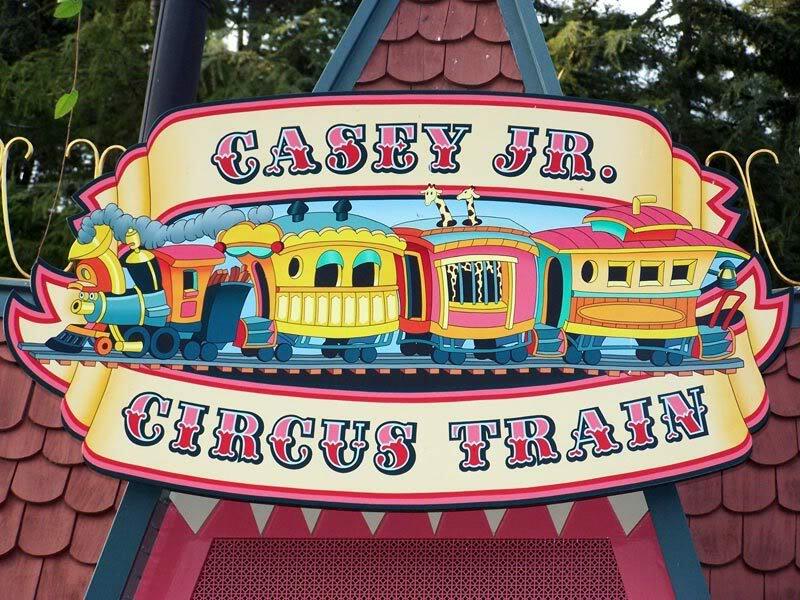 Casey Jr. 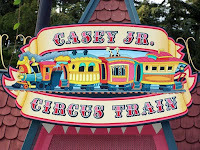 Circus Train holds a special place in my heart as I don't recall ever riding it before I did two years ago. I'll just cheat a little bit and use Dumbo the Flying Elephant as my favourite spot. It truly is though, because it offers an amazing 360° view over Fantasyland. Picking a favourite ride here is hard, as Adventureland holds two of my favourite rides: Indiana Jones and Pirates of the Caribbean. I'll pick Indiana Jones because it's just a bit more special to me; this was my first big rollercoaster with loops. Big Thunder Mountain. Since they've replaced the little wagons, the ride is so much smoother thus more enjoyable. Plus, BTM is an awesome way to experience an elevated point of view on the park. I highly recommend riding this one at night, as all the lights make the view extra magical. That's not really fair, as Front lot only has shops, a restaurant, First Aid, Baby care, and toilets. No rides to choose from, but I actually like Studio 1. We always stop at "Restaurant en Coulisse" for lunch, and I just love the atmosphere of the Studio. When you leave the Studio in direction of Disney Bros. Plaza, you have the partners statue in front of Hollywood Boulevard. I kinda like that view, even though I'm a bit disappointed that they put the statue in this park rather than in front of the castle in Disneyland Park. The Twilight Zone Tower of Terror. 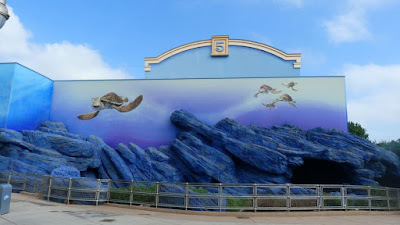 I love everything about it: the Cast Members, the pre-ride experience (except for the library), the view, the ride itself (obviously), and the souvenir shop when you leave the ride. I don't really have a favourite ride or spot in this lot. 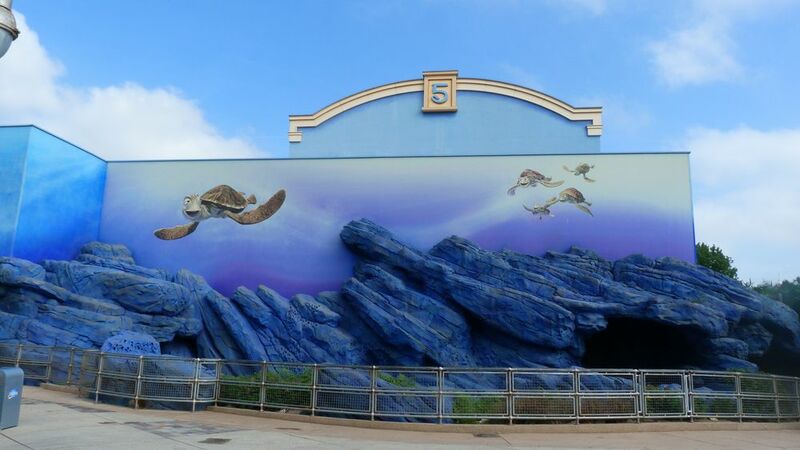 Fun fact (not really): I've never ridden the Rock 'n Roller Coaster, because I was told by a Cast Member it's the same track as Space Mountain's and since I can't stand being on Space Mountain, I never bothered going on R'nRC. I'm torn between Crush's Coaster and Ratatouille. They both have huge queues, and there's a darn good reason for that. Ratatouille's ride uses so much amazing technology, but then again, so does Crush's Coaster. They're both wonderful rides, each in their own beautiful way, which is why I can't or won't pick a favourite. As for which one of the parks is my favourite? I can't decide. Both parks have their charm, and while I love some attractions, spots, and shops more than others, I couldn't betray either park by choosing the other as my favourite. 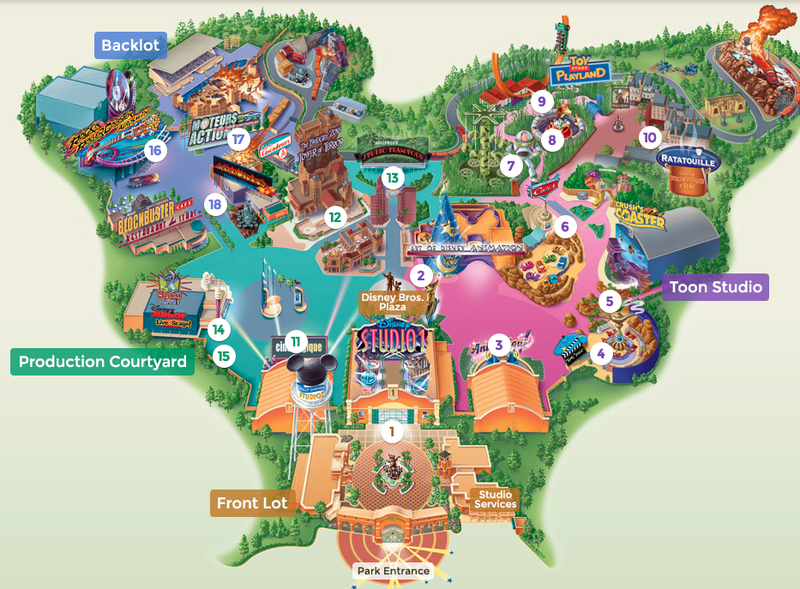 How about you, do you have a favourite ride, spot, shop or maybe a favourite park? Let me know in the comments below! I'm looking forward to reading how you all feel about Disneyland Paris.